Halloween and Bonfire Night may not yet be behind us, but who isn't already thinking about Christmas? We've been sent The Little Reindeer DVD to review and it stars a reindeer, a young boy and Santa. 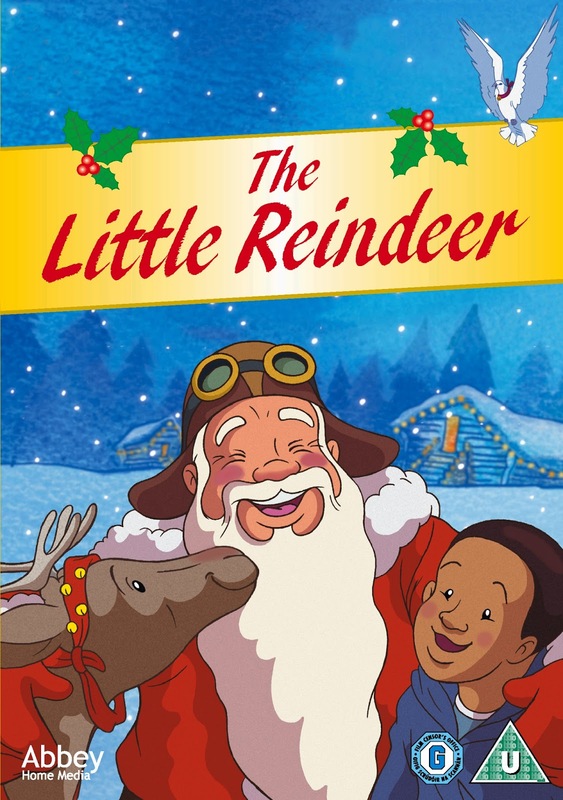 The film tells the tale of a reindeer born into the stable of Santa who then accidentally gets wrapped up and delivered to a young boy. He loves him and they spend a delightful year together before Christmas comes around again and Santa returns and takes the reindeer back to his true home. I can't really go any further without pointing out that this DVD really massively reminded me of The Snowman. It is almost entirely wordless with music and a handful of sound effects. It even has a flying scene with appropriately gentle and calming music, only this time it's the reindeer who takes a little boy off with him. The boy and the reindeer become great friends and have fantastic adventures together and then one morning, the friend has gone and the boy is very sad and cries. The animation is in a similar style to The Snowman with the lightly pressed pencils and rounded figures, beautifully soft backgrounds and falling snow. The foreground characters though are more deeply inked so although it's similar it isn't a copy. I actually love The Snowman and have done since it was first released (when I was still young enough to be completely captivated by it), so I'm not really that bothered that this film is so reminiscent because it's a lovely feelgood Christmas story that is suitable for children of any age and with virtually any level of vocabulary and communication. My little boys liked this film, they have watched it about 47 times a day since it arrived, at least it seems to be on constantly whenever the TV is on. My 3 year old especially loves this DVD and has absolutely no trouble following the storyline. We haven't watched ours yet but it sounds nice and christmassy!